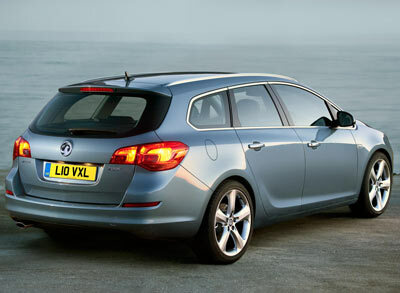 Vauxhall Astra Estate private or company leasing offers. You will find our Vauxhall Astra Estate deals are some of the cheapest throughout the UK. The Astra Tourer estate model delivers the flair and dynamic elegance of the New Astra Hatchback, combining practicality, functionality and innovation. With six fantastic trims to choose from, ranging from the practical ES model up to the luxury SE, you're sure to find everything you're looking for with the Astra Tourer. It’s the perfect fit for a busy and full lifestyle. The Vauxhall Astra Tourer has all the star qualities: great looks, an athletic car body and amazing performance. With innovative technology and a premium feel, inside and out. Astra cars re-energise the compact class. All Vauxhall Astra 1.7 CDTi Exclusiv Estate car offers are based on 3 or 6 down followed by 47. Business contract hire or Personal leasing offers. Astra Estate Delivery: Usually 12-14 days if the car in stock. For all Vauxhall Astra Exclusiv Estate factory orders delivery depends on cars manufacturers current lead times for your chosen vehicle specification. For more information or prices on the Vauxhall Astra Estate cheap leasing car special offers please call us on the below number. Smart Lease brings together a expierenced team with more than 18 years’ in the industry, dedicated to offering the most competitive offers without compromising on service. All pictures and/or photos and car descriptions on this site are for illustration and reference purposes only.